But equally shameful, abjectly shameful – and it is not said enough, is Australian’s silence. Julian Assange is an Australian citizen. Yet, the Australian government, also a total vassal of the faltering and morally corrupt empire, let a citizen of theirs being exposed to horrendous injustice, pain, being most likely being extradited to the US, where he can expect no justice, but may possibly be tortured and killed. 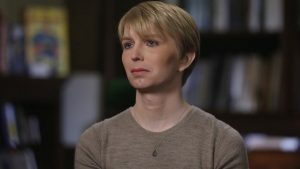 Several American lawmakers have already called out for Assange’s execution, even extra-judiciary execution, if everything else fails. That is totally in the cards. Just think of Obama’s and Trump’s (vamped up) extra-judiciary drone killings. Nobody says beep; it’s the new normal. The west looks on and keeps enjoying its comfort zone -of “no hear, no see, no talk”. – What a life! 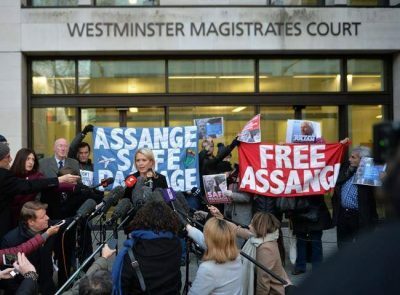 “No journalist will be safe from extradition to the US for doing his job,” adding that Julian Assange is facing “political persecution” for “doing his job as a journalist”. She vowed to fight his extradition to the US. Is it a coincidence that 11 April was also the day of another Washington initiated murderous act? – On 11 April 2002, 17 years ago, Washington conspired and orchestrated directly, live, via video, the coup attempt in Caracas against Venezuela’s democratically and overwhelmingly elected President Hugo Chavez. The coup failed, as Chavez then – and as President Maduro today – had and have the massive support of the people and the military. On 13 April, at the forceful request of the people, the “golpistas” had to assume their failure and President Chavez returned from his two-day exile on La Orchila island, a military base, where he was flown by helicopter.